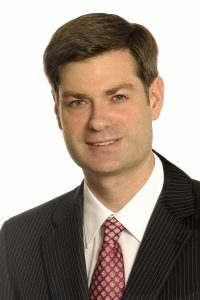 Matthew Jeffery, Barrister & Solicitor, is an expert in all areas of Canadian immigration law, including Family and Spousal Sponsorships, Skilled Worker, Canadian Experience Class and Express Entry applications, Permanent Resident Card renewals, Citizenship applications, Humanitarian applications, Work Permits, Study Permits and Visitor Visas, as well as the full range of immigration litigation services including appeals to the Federal Court, appeals to the Immigration Appeal Division, and Citizenship appeals. Recognized as a Certified Specialist in Immigration Law by the Law Society of Upper Canada, Matthew Jeffery has the experience needed to guide clients through Canada’s complicated immigration system. Canada is traditionally an immigration country and has welcomed millions of newcomers over the course of its history. Currently Canada admits over 300,000 new permanent residents every year, as well as hundreds of thousands of temporary students and workers, and millions of visitors. This has shaped Canada into a multi-cultural society that is famous for its diversity and for its tolerance.Canada is also well recognized for its humanitarian tradition and adherence to the upholding of human rights. As part of this tradition, every year Canada welcomes tens of thousands of refugees fleeing war and persecution in their home countries. For those who wish to come to Canada, the first step is to assess the various categories under which Canada admits people, and decide which category is appropriate for you considering your individual circumstances. Our website provides information about all of the major categories of immigration and by researching the site, it should be possible to get an idea of which category is best for you. You can also fill out the Free Assessment forms on the site to have your qualifications assessed, or contact us directly with any specific inquiries. If you are able to identify what category you can qualify under, our office would be pleased to assist you with your application to come to Canada. The Law Office of Matthew Jeffery has many years of experience in assisting people from around the world to come to Canada to live, work, and study. We welcome all inquiries and will endeavor to assist any who can qualify for immigration to Canada. The Law Office of Matthew Jeffery is a diverse team of immigration lawyers, licensed immigration consultants, licensed paralegals, as well as legal secretaries and administrators. With decades of combined experience, our team is fully capable of dealing with all types of immigration matters from the simplest to the most complex. 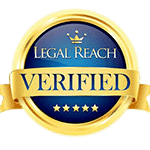 We have assisted thousands of clients and have an excellent success rate. The process of retaining our office’s services typically begins by the client self-identifying what category of immigration they wish to apply under. There is considerable information on our website, and various tools including the Free Assessment Forms, that will enable prospective clients to find out how they can come to Canada, or otherwise identify the services they require. Inquiries can also be made directly to our office by email if clarification is needed. Those who believe they have a qualified case should then contact our office to make an appointment for a consultation. The consultation appointment can be made by phoning our office and speaking to the receptionist. The receptionist will set up a mutually convenient time for the consultation appointment. The consultation will be with Mr. Jeffery or one of his senior staff and will be conducted in person or over the phone. The purpose of the consultation is to assess and verify the potential client’s qualifications, explain the legal process involved, and explain our office’s services for the process and our fees. Those who wish to begin the immigration process or otherwise employ our office’s services will then want to sign a written retainer agreement with us setting out the services to be provided and the fees involved. Once retained our office will assist our client with the process of preparing, filing and processing their immigration application, or will provide such other services as required and as retained for. 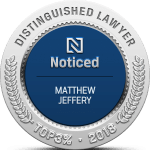 The Law Office of Matthew Jeffery recognizes the importance of each case to the individual client and we treat every case as if it were our own. We will always endeavor to provide the highest level of care and quality in our work, to ensure that our clients have the best chances of success in their immigration matter. In addition, we will make the process as stress-free as possible to ensure the matter proceeds smoothly and without delay. Applying for a visa to Canada or otherwise dealing with the immigration authorities can be a huge undertaking, but we will take all steps possible to ensure that your case proceeds quickly, professionally, and successfully. We provide the full range of services to assist Canadian citizens and permanent residents to bring their foreign family members to live in Canada. Our firm’s many years of experience with spousal and common-law partner sponsorships provides unparalleled expertise and guidance through Canada’s complex sponsorship process. The advent of the Express Entry system has added a new layer of complexity onto Canada’s already complicated immigration system. The Law Office of Matthew Jeffery has been working with the E.E. since its inception, and has developed an in-depth expertise in setting up E.E. profiles, and assisting successful registrants to apply for permanent residence. An Express Entry profile must be created in order to apply for permanent residence in Canada under the Canadian Experience Class, Federal Skilled Worker Category, or Federal Skilled Trades Category. 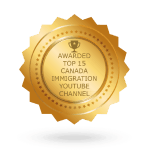 Or many years the Skilled Worker category has been the main source of immigration to Canada. Foreign nationals who possess higher education, have skilled work experience, and can speak English or French can apply for permanent residence as a Skilled Worker. Each province in Canada has its own small immigration program and can nominate a limited number of new immigrants each year. Those who have at least one year or skilled work experience in Canada and who can speak good English or French can apply for permanent residence through the Canadian Experience Class. A job offer in Canada that has been government-approved through the Labour Market Impact Assessment process can be used for purposes of applying for permanent residence or in order to obtain a work permit. Extending a permanent resident card for a further five years can be a complex undertaking. Our office has years of experience with highly complicated P.R. card renewal cases, bringing our clients a level of expertise that is unmatched in the industry. A permanent resident who has not met the residency requirement can renew their PR card on humanitarian grounds if some exceptional circumstance has prevented them from residing in Canada. A renewal may also be made if the permanent resident has been working for a Canadian company abroad or has been accompanying a Canadian citizen spouse abroad. Those permanent residents who have met the residency requirement of being in Canada for at least 2 in the past 5 years can renew their permanent resident card on this basis. Permanent residents who are outside of Canada and whose PR card has expired can apply for a travel document in order to return to Canada. A Canadian citizen or permanent resident can sponsor their foreign national child for permanent residence in Canada. While immigration to Canada is mostly the jurisdiction of the Federal Government in Canada, each of Canada’s provinces has its own small immigration program whereby the provincial government can nominate individuals for immigration to their province based on their own specific criteria. There are several programs that allow entrepreneurs and self-employed persons to immigrate to Canada. The federal government uses the Self-Employed Program to attract individuals who are willing and are able to be self-employed. The Federal Immigration Entrepreneur Program was a once popular program that was designed to bring in experienced entrepreneurs for the growth of the economy. However, the program was permanently closed on the 19th of June, 2014 after the passing of Bill C-31. However, if you are an entrepreneur and you still want to come to Canada, all hope is not lost. The Federal Immigrant Investor Program or IIP was discontinued in mid-2014. However, a few provincial programs serving the same purpose still exist. These are the Manitoba Business Investor Stream (previously known as Manitoba Provincial Nominee Business Program) and the Quebec Investor Immigration Program. Quebec is a province in Canada that has jurisdiction over its own immigration program. The Quebec government has put in place several programs to attract and to retain foreigners that it feels will add value to the society and the economy. To attract investment into the economy, Quebec has instituted the Quebec investor program. Work permits and work visas allow you to work and earn a living in Canada. The Canadian federal government and Canadian provinces and territories have different programs aimed at bringing in individuals who would contribute positively to Canada economically, socially, and culturally. These programs have different work permits and work visas. In Canada, the Temporary Foreign Worker Program (TFWP) allows employers to get temporary workers who meet certain requirements. This program is designed to help employers fill temporary skill and labour shortages. The Canadian International Mobility Program (IMP) allows employers to get employees from outside Canada without the requirement of a Labour Market Impact Assessment (LMIA). The North American Free Trade Agreement (NAFTA) is an agreement that was signed by the U.S., Canada, and Mexico, creating a North American trilateral trade bloc. NAFTA has many provisions, including provisions touching on labour movement across the 3 countries. This permit is only given to individuals who demonstrate to the immigration officers assessing their Significant Benefit Work Permit application that they will indeed contribute to the society and provide opportunities for citizens and permanent residents. Foreign nationals who have been accepted into a school program in Canada can apply for a Study Permit to allow them to study in Canada. Study Permits are temporary visas whose validity period are tied to the duration of the school program, usually between one and four years. To qualify for a Study Permit the applicant must show that they are registered in the school program, and that they have sufficient funds to pay their tuition and to support themselves in Canada while they are studying. The immigration authorities will also assess the intentions of the applicant and whether they are likely to return to their home country at the end of their studies. Matthew Jeffery Law Office can assist you to apply for a study permit if you have gained admission into a Canadian school and have financial support for your studies. Please contact us for further information. Persons who simply wish to visit Canada for business or for pleasure may need to obtain a Temporary Resident Visa before doing so. Citizens of some countries are exempt from this requirement but most are not.These visas may be single or multiple-entry, and typically allow a visitor to enter and remain in Canada for up to 6 months at a time. Generally speaking, when assessing an application for a Temporary Resident Visa, the immigration authorities will consider the purpose of the visit, whether the applicant has sufficient funds to support themselves during their stay, and whether the applicant is likely to return to their home country at the end of their visit. If the visa applicant has a good reason for wanting to come to Canada and otherwise meets the relevant criteria, then they will likely be approved. However, the approval of this type of visa application is highly discretionary on the part of the visa officer, so a properly prepared application is essential for success. If you are planning to visit Canada on business, you may require a business visitor visa depending on your country of origin. You will get a temporary residence business visa that allows you to conduct prescribed business activities. A super visa is a type of long-term visitor visa for foreign parents and grandparents of Canadian citizens or permanent residents. Canadian employers who wish to hire a foreign worker may first need to obtain a Labour Market Impact Assessment (LMIA) from the government human resources authorities. Permanent residents of Canada who have fulfilled the requirements to apply for citizenship will benefit from the expert guidance of our office to best ensure the quick success of their application. We have years of experience dealing with highly complex citizenship matters and offer unparalleled expertise to those applying for Canadian citizenship. Canadian permanent residents can apply for citizenship if they have physically resided in Canada for a specified period of time. In the course of a citizenship application the citizenship authorities may request further information in order to ascertain whether an applicant is actually meeting the residency requirement for citizenship. If the citizenship authorities have continuing doubts as to whether an applicant is meeting the requirements to obtain citizenship, they may schedule an interview either with a citizenship officer or a citizenship judge. Where a citizenship application has been rejected by the authorities, an appeal may be made to the Federal Court within 30 days. With years of experience assisting clients with highly complicated appeal matters, our office offers unparalleled services in all types of immigration appeals. We can also assist those who need to respond to letters of concern issued by the immigration authorities, or those who have been convoked for an immigration interview. Those whose immigration applications have been rejected by the authorities on any basis can appeal to the Federal Court by way of application for leave and judicial review within 15 or 60 days, depending on the place of refusal. Permanent residents of Canada who have lost their status as a result of a refused PR card renewal application or a refused travel document application can appeal to the Immigration Appeal Division within 60 days. Canadian citizens or permanent residents whose application to sponsor a family member has been refused by the immigration authorities can appeal to the immigration appeal division within 30 days. A permanent resident who has been found guilty of misrepresentation can appeal this finding to the Immigration Appeal Division within 30 days. Permanent residents who have lost their status and been ordered to leave Canada on the basis or criminality or misrepresentation can appeal to the Immigration Appeal Division within 30 days. Canada welcomes citizens of the United States of America to visit, study, work, or live permanently in the country. US citizens can enter Canada as visitors without a visa for up to six months at a time. To study or work in Canada, a US citizen would need to obtain the appropriate permit, which will require an application to the Canadian immigration authorities. U.S. citizens can also obtain permanent residence in Canada through various programs, including the Express Entry / Skilled Worker category, or by family sponsorship if they have a spouse or partner who is a Canadian, again through making the appropriate application to the Canadian immigration authorities. Once permanent residence is obtained, a US citizen can eventually obtain Canadian citizenship. The Law Office of Matthew Jeffery has years of experience assisting citizens of the United States of America to relocate to Canada, and can assist with all types of visa applications. Foreign nationals or Canadian permanent residents may be subject to allegations of inadmissibility to Canada for various reasons, such as misrepresentation, criminality, or simply failing to meet the criteria of the Act. The Law Office of Matthew Jeffery has years of experience successfully assisting clients to defend themselves in the full range of admissibility matters. The Immigration Division of the Immigration and Refugee Board may convoke a hearing to decide whether a foreign national or permanent resident is admissible to Canada. During the processing of an immigration or citizenship application the authorities may issue a “fairness letter” setting out concerns with the application and providing the applicant with an opportunity to respond before a final decision is made. If the immigration authorities have concerns that an applicant may not meet the criteria of the category they are applying under, they may convoke a personal interview with the applicant. Those seeking Canada’s protection can make a Refugee Claim if they are in Canada. A refugee is a person who fears persecution in their home country on the basis of their race, religion, nationality, political opinion, or particular social group. unusual treatment or punishment, or a risk of torture in their home country. The risk faced by the refugee must be a personal one, and not one related to a general risk in the home country. The risk must also be one that the police authorities in the home country are unable or unwilling to protect the refugee claimant from. The Refugee Protection Division (RPD) of the Immigration and Refugee Board (IRB) is empowered to determine the refugee claims of those foreign nationals who claim refugee status from within Canada. If the RPD rejects a claim, an appeal may be made to the Refugee Appeal Division (RAD) where a decision will be made whether to allow or deny the appeal. This is a paper appeal and most cases are decided without a hearing. Can I sponsor my common-law partner if I am still married? What to do if work permit is denied. Can you appeal? What is the sponsorship appeal process? What Happens at an IAD Appeal Hearing? What are the types of immigration appeals before the IAD? What are Retroactive and Retrospective Laws in Immigration Appeals? I have received a letter from the immigration authorities expressing concerns with my application – what should I do? How to Appeal a Removal Order? How to appeal a negative residency determination? How long does a Federal Court appeal take? “Proving” Your Love: You May Need To Do More Than You Think!